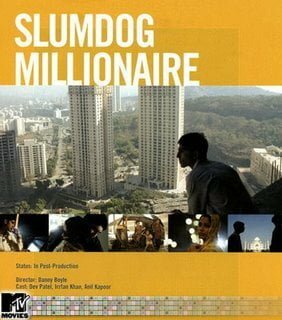 Set and filmed in India, Slumdog Millionaire tells the story of a young man from the slums of Mumbai who appears on the Indian version of Who Wants to Be a Millionaire? (Kaun Banega Crorepati, mentioned in the Hindi version) and exceeds people’s expectations, arousing the suspicions of the game show host and of law enforcement officials. After screenings at the Telluride Film Festival and the Toronto International Film Festival, Slumdog Millionaire initially had a limited North American release on 12 November 2008 by Fox Searchlight Pictures and Warner Bros. Pictures, to critical acclaim and awards success. It later had a nationwide release in the United Kingdom on 9 January 2009 and in the United States on 23 January 2009. It premiered in Mumbai on 22 January 2009. Slumdog Millionaire was nominated for ten Academy Awards and won eight of them, the most of any film that year, including Best Picture. It also won five Critics’ Choice Awards, four Golden Globes, and seven BAFTA Awards, including Best Film. The film is also the subject of controversy concerning its portrayal of India and Hinduism as well as the welfare of its child actors. The film opens with a police inspector (Irrfan Khan) in Mumbai, India, interrogating and torturing Jamal Malik (Dev Patel), a former street child from the Dharavi slums. At the opening scene, a title card is presented: “Jamal Malik is one question away from winning 20 Million Rupees. How did he do it? A) He cheated, B) He’s lucky, C) He’s a genius, D) It is written.” At the end of the film, the answer is given. Jamal is a contestant on the Indian version of Who Wants to be a Millionaire (Kaun Banega Crorepati) hosted by Prem Kumar (Anil Kapoor). Jamal has made it to the final question, scheduled for the next day, but the police are now accusing him of cheating, because the other possibilities, that he has a vast knowledge, or that he is very lucky, both seem unlikely. Jamal then explains that, while at least the question about Bollywood superstar Amitabh Bachchan was very simple, he knew the answers of most questions by chance, because of things that happened in his life. This is conveyed in a series of flashbacks documenting the particulars of his childhood. This includes scenes of him obtaining the autograph of Amitabh Bachchan, the death of his mother during Hindu-Muslim riots in the slums, and how he and his brother Salim (Madhur Mittal) befriended the orphan girl Latika (Freida Pinto). As Jamal’s favourite book from his short period in school was The Three Musketeers, he refers to Salim and himself as Athos and Porthos, and Latika as the third Musketeer. The children are eventually discovered by Maman (Ankur Vikal) while they live in the trash heaps. Maman is a gangster (a fact they do not actually know at the time they meet him) who “collects” street children so that he can ultimately train them to beg for money. Salim is groomed to become a part of Maman’s operation and is asked to bring Jamal to Maman in order to be blinded (which would improve his income potential as a singing beggar). Salim rebels against Maman to protect his brother, and the three children try to escape, but only Salim and Jamal are successful as Salim purposely lets go of Latika’s hand as she tries to board a train they are hopping while trying to escape. Latika is re-captured by Maman’s organization and raised as a culturally talented prostitute whose virginity will fetch a high price. The brothers eke out a living, traveling on top of trains, selling goods, pretending to be tour guides at the Taj Mahal, and pickpocketing. Jamal eventually insists that they return to Mumbai since he wishes to locate Latika. When he finds her working as a dancer in a brothel, the brothers attempt to rescue her, but Maman intrudes, and in the resulting conflict Salim draws a gun and kills Maman. Salim then uses the fact that he killed Maman to obtain a job with Javed (Mahesh Manjrekar), a rival crime lord. Salim claims Latika as his own and when Jamal protests, Salim threatens to kill him and Latika intervenes, accepting her fate with Salim and breaking Jamal’s heart. Years later, Jamal has a position as a “chai-wallah” (a boy or young man who serves tea) at a call centre. When he is asked to cover for a co-worker for a couple of minutes, he searches the database for Salim and Latika. He gets in touch with Salim, who has become a high-ranking lieutenant in Javed’s organization and confronts a regretful Salim on tense terms. Salim invites Jamal to live with him and, after following Salim to Javed’s house, he sees Latika living there. He talks his way in as the new dishwasher and tries to convince Latika to leave. She rebuffs his advances, but he promises to be at the Chhatrapati Shivaji Terminus railway station every day at 5 p.m. for her.She tries to discourage him, but on the first day that Jamal waits there, Latika attempts to rendezvous with him, but is recaptured by Salim and Javed’s men. One of the men then slashes her cheek with a knife, scarring her as Salim drives off. Jamal again loses contact with Latika when Javed moves to another house. In another attempt to find Latika, Jamal tries out for the popular game show because he knows that she will be watching. He makes it to the final question, despite the hostile attitude of the host who feeds Jamal a wrong answer during a break. At the end of the show, Jamal has one question left to win 20 million, or two crore, rupees and is taken into police custody, where he is tortured as the police attempt to learn how Jamal, a simple “slumdog”, could know the answers to so many questions. After Jamal tells his whole story, explaining how his life experiences coincidentally enabled him to know the answer to each question, the police inspector calls his explanation “bizarrely plausible” and allows Jamal to return to the show for the final question. At Javed’s safehouse, Latika watches the news coverage of Jamal’s miraculous run on the show. Salim gives Latika his phone, and the keys to his car, and urges her to run away. When Jamal uses his Phone-A-Friend lifeline to call Salim, Latika answers his phone and they reconnect. She does not know the answer to the final question either, but believing that “it is written”, Jamal guesses the correct answer (Aramis) to the question of the one Musketeer whose name they never learned, and wins the grand prize. Simultaneously, Salim is discovered to have helped Latika escape and allows himself to be killed in a bathtub full of money after shooting and killing Javed. Salim’s last words are “God is great”. Later that night, Jamal and Latika meet at the railway station and they share a kiss. 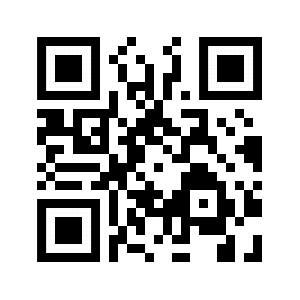 It is then revealed that the correct answer to the opening question is: D) it is written. Along with many others in the train station, they dance.